A new batch of Carts might be made later on, best to save the link and keep checking. Not my auction, but wanted to get the word out. Even though I have most of the original and some home brew carts, this is an outstanding deal! I can finally play Minestorm II and Mr Boston on a real Vectrex Transportable! The copyright holder for the entire library of commercially-released Vectrex software is Jay Smith - the former owner of GCE. Mr. Smith has given me written, legal permission to produce and sell this compilation of his games. I have been selling them on eBay from time to time over the past TEN YEARS as do several other eBay sellers. Please do not cancel this auction. This is NOT a copyright violation. There should be a note on my account from other eBay personnel stating that this item is authorized. It contains the entire Vectrex library less one title - AnimAction. Many of the recently programmed games are on it as well, including those written by John Dondzilla and others for a whopping total of 60 titles! If you've been lucky enough to find a Vectrex console, you probably know how difficult it is to find games for it. 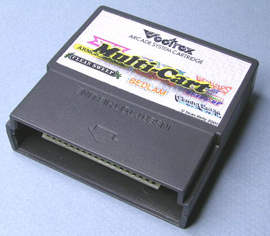 The Vectrex multi-cart is the answer to all your Vectrex gaming needs! Last edited by CRTGAMER on Thu Sep 15, 2016 6:51 pm, edited 5 times in total. Thanks for the heads up, I know what I am getting for Christmas. If only there was an easy way to get controllers or adapters. Id love a Genesis or PSX to Vectrex adapter, I need two of them. fastbilly1 wrote: Thanks for the heads up, I know what I am getting for Christmas. If only there was an easy way to get controllers or adapters. Id love a Genesis or PSX to Vectrex adapter, I need two of them. Did you get the cart? All 45 are sold out, that was quick! Missed it by six minutes. Fairly pissed about it actually. fastbilly1 wrote: Missed it by six minutes. Fairly pissed about it actually. Oh crap, sorry about that. Maybe keep his EBay Store Front linked in case more are produced? According to the description, a set of multi carts are made every year. A chance since the carts moved so fast another batch might be made sooner? He makes small batches and releases them randomly. This was the biggest batch I have seen him make in a long time. Ill just keep an eye on the various forums and see what people are selling them for, a couple have already popped up for sale. CRTGAMER wrote: I own three Vectrex systems and most every game with overlays; just need the lightpen, 3d imager glasses and a couple spare controllers. There is the Sean Kelly multi cart worth searching as well as a couple of home brew carts including the Spinnerama cart that has some of the Vectrex converted for use with a 2600 "Spinner" driving controller. Vectrex is the best for the Vector Cinematronics space games. That Vectrex Console Cover very rare, congrats on your great find! Blimey, that is a remarkable collection. Which games do you enjoy most of all? The best cart would be of course the Sean Kelly Multicart. 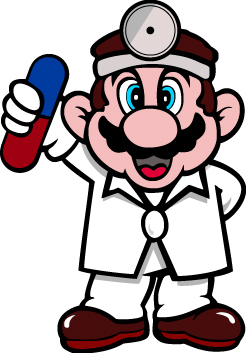 Keep an eye online for the Multicart, once in a while he sells another batch. Or pay extra for reseller on Ebay. As far as individual games, any of the Space themed (which are many) I like the best. Here are a few of my favorites, all are great renditions of the original Cinematronics Vector Arcade cabinets. Mine Storm - The built in "Asteroids" game. Sean Kelly Cart has Minestorm II. Space War - So close to the cabinet with Star Trek and Asteroids ships. Control physics including gravity and ship speed. Rip-Off - Instead of Asteroids, blast ships before they take all your canistors. Star Castle - Shoot the shield off at the ship in the center while avoiding drone ships and laser blasts from the center. Solar Quest - A followup by the same coder of the Cinematronics Arcade Star Castle. Think of it as a single player version of Space War with a gravity sun in the middle. Omega Chase - A home brew of the Arcade Omega Race, very well done! One of my favorite Vector Spinner control games on Mame, this early Arcade Cabinet put out by Midway. Web Wars - Dodge and capture objects while scrolling thru a "Star Wars" trench, a neat effect as you speed up and slow down. One you capture a creature, head into the portal to add to your Trophy Room. Okay a gamer's bet; the Vectrex one of the first systems with the common featue of today's consoles; the Trophy Achievements. ElkinFencer10 wrote: CRT, if someone breaks into your house and steals your Vectrex collection, it definitely wasn't me. Got it? I was very lucky to obtain three Vectrex consoles, two on the same day! One "original" very rare cart I would love to get, would be the free by mail back in the day Minestorm. I met Sean at his shop in Chicago a year or so ago. Very nice guy.